Like with the shoes, let me know any gloves you'd like to see but don't, or any weirdnesses you encounter. I'm going to keep it just to the right glove for now, until the set is finalized, then I'll swap them all over to the left side. In the meantime, you can use Multiples and flipping to get matching items if you like. 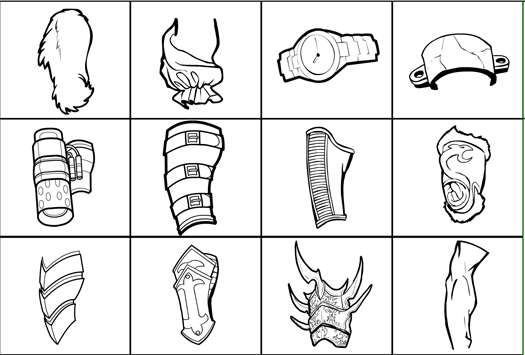 I also wanted to note that if you're using one of the alternate arms, you can still get a good glove on it by picking one, rotating and scaling it to where it mostly fits, then Masking it with the arm piece to make it conform if it's one of the skintight ones. Finally, the applet itself has one fairly major update to it. Mousing over an item now fades it to 50% transparent instead of giving the blue glow. I am testing to see if the glow is part of the reason trying to mouse around in the canvas area is so slow when you add enough items to the stage. I also think it might make it easier to position items if you can see what's underneath it. Let me know what you think of the change, it's easy enough to go back to the old way if people prefer it. I definitely like the 50% transparency better than the blue glow – you’re right, it’s much easier to tell what’s going on now. I want a bug glove…what looks like hundreds of bugs crawling on the arm. 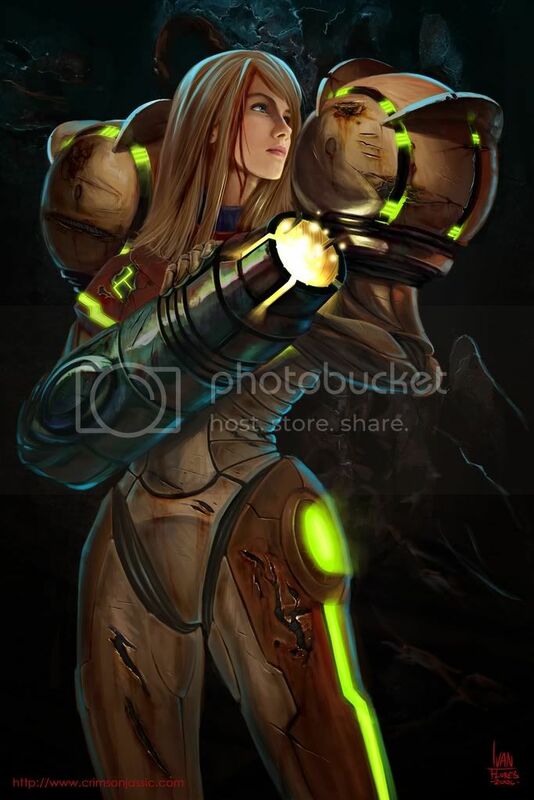 it says right glove, but is on the left side, also there is a blaster, but it is atached to some kind of base and then atached to the forearm, can u make just a blaster, like the one of samus? thx. also here is my creation. (i hope this shows what i mean by a blaster, it was hard to get rid of the other stuff attached to the blaster). and finally i also think the 50% transparency is better. hold it is right, im sorry it says glove right and it is correctly on the right side. srry. Nice character there, Hofter! And you’re right, the left/right designation is for the character’s left or right, not the viewer’s. I do need to make a full-on-arm blaster like that one, good point. I’ll get on it. I agree the 50% transparenct is easier to use than the blue outline. I’m enjoying the new gloves quite a lot, I was wondering if we could have a couple whole gloves though, similar to HM 2.x That way we can get all kinds of interesting business ends to the gloves. Also, I had fun when I realized that, (for my own personal enjoyment mind you) I could make a better Ozymandias costume then the Watchmen movie designers could. I don’t think I understand the request for “whole gloves”, Brad. The Hand slot has a pretty complete set of gloved hands expressly for making fits with the actual Glove category,are those not what you’re looking for? Separate spikes will be coming down the road a bit, Neon, I want to have a dedicated “Bit and pieces” type of slot that’ll have single spikes in a variety of shapes, scars, patches, pockets, straps, bumps, etc. Hey Jeff, I have to say, great work on the gloves. In the near future, Could you add a steel chain that would connect the wrist shackles and a fingerless glove with small spikes on the back? In the forthcoming Bits and Pieces could you add cables, pipes, chains and plates ? Jeff: Are you still going to have a ‘sidekicks’ and ‘auras’ slot like you did for HM2? Observation: This gloves slot is more like a “forearm” slot which when combined with the hands slot you can make some pretty nice glove combonations. Exception is the new arm cannons, of course. That said, like it a lot, along with the transperancy option. I’d like to see two items. A hand saw and/or chain saw (Hail to the king babby!) 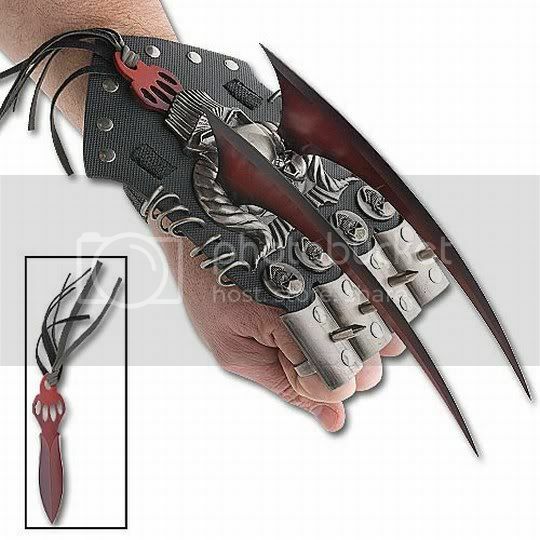 attached at the wrist, as well as a robotic claw. Wouldn’t be able to use any hand items in it, but it’d just look cool. Guess I just hadn’t used them to my advantage yet.